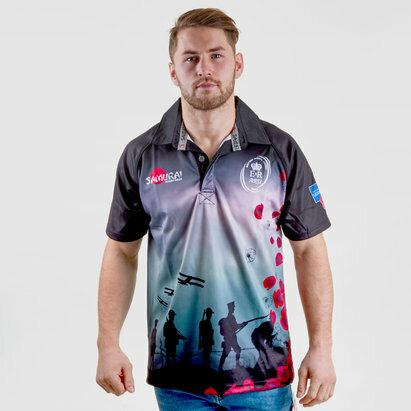 Cheer on the Moufflons when you don this Cyprus 2019 Alternate S/S Rugby Shirt from VX-3. The Cypriot national rugby team is nicknamed “The Moufflons" after a horned sheep which is also the republic's national animal. 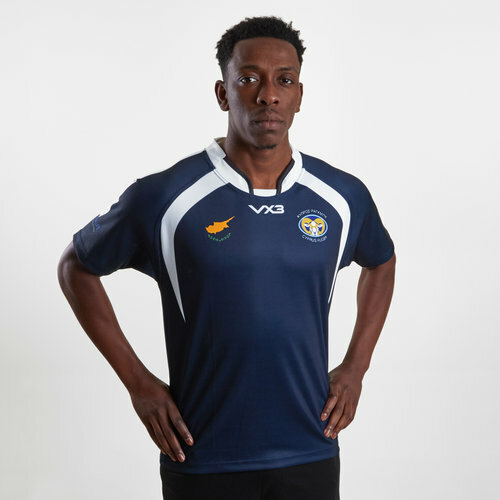 The team have won 28 of their 30 games and hold the world record for the most consecutive international rugby union wins with 24, which was ended on 15 November 2014 when they lost to Latvia. Traditionally, the team have always worn blue alternate jerseys. This VX-3 is no different as it is predominantly navy with white detailing by the shoulders. 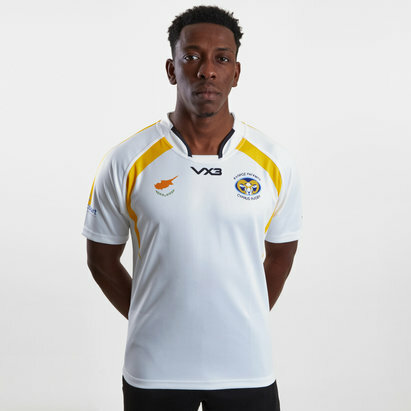 The VX-3 logo is in the centre of the shirt just under the collar with the Cypriot rugby badge on the left side of the chest whilst the country itself is on the right.